I am recreating ‘Star Wars – A New Hope (Episode IV)’ the FULL film in vanilla Minecraft. This is a fan-film project ONLY. It will be FREE to view! Copyright infringement is not intended and all links to appropriate parties are in the video descriptions. I support George Lucas, Lucas film, Disney and Mojang for making this universe possible. All video footage is from the game ‘Minecraft’ itself. NO money or profit is to be made from the Final Video or Promo’s. Massive Thanks to ‘Chewbacca Mom’ for the Inspiration! 2016 EXCLUSIVE! Darth Vader Special! – It was an honour and added inspiration to hear such kind words! – 1 Hour 22 min of the film is complete! – Expected Release Date: 2016 (Subject to Change) – 4 Years in the making and counting…. Minecraft – Star Wars – A New Hope is a transformative fan-film spoof parody based on the 1977 film ‘Star Wars – Episode 4’ It will be 100% FREE to view! NO money or profit is to be made from this project and monetization is disabled. It is being created by a fan, for the fans. This project has been 4 years in the making and some of the individual sets have taken upto 6 months just to build. No mods have been used, just custom textures and art. All video footage is from the game itself and any characters featured are parodies of the original characters. These are depicted by ‘testificates’ and simple custom textures and skins. There will be ‘NO SOUND’ with the Minecraft version of the film. 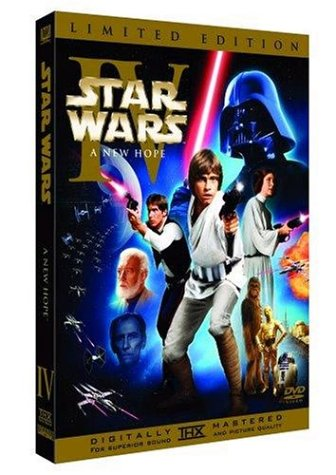 You will need to own the Original version of ‘A New Hope’ (as shown in the box above) in order to sync the Original film’s soundtrack. Gamer, Musician, Movie Maker. Music featured in 'Tribes' & 'Stoked'. Currently recreating Star Wars A New Hope (The FULL film) in Minecraft! 22 Responses to Minecraft – Star Wars – A New Hope! Amazing! Good luck to you and your film..I cant wait to see the entire Movie! Thank you, and many thanks for the mini- Star Destroyers. That doesn’t exist, unless you mean the special edition, and not the original. The only DVD version of the original I’ve ever seen was a bootleg of a Japanese laser disc. Oops– it looks like I’m behind the times, and this DOES exist now. My bad. Yes it’s on the Special Edition as shown in the box-art version on the main page. 10,000 supporters are needed for consideration on Ideas. Why not make one? It could attract the attention of George Lucas!!! Thanks John, I’ll look into that! It might be a little late, but can you re-do some scenes using these OFFICIAL skins? It would greatly improve the quality. Question: Are you remaking the Jabba the Hutt Scene from the Scpecial Edition? Because if you do, you can feature Boba Fett, using the skin from the skin pack. Think about it. Please. I will not be re-doing any scenes with the Official Skins. I started this project before these we’re available and 4 years worth of work would need to be re-done. And No, Jabba’s scene is not featured in the Original Movie.